“Day 4” was the fifth and final day of my postpartum hospital stay for a vaginal birth on baby #4 (as the day you give birth is day zero). On the day you get released the hospital treats you to a hairdo in the hair salon on the 3rd floor. It involves a wash, head massage, hot towel treatment and blow dry. My appointment was at 9.30am giving me time to have an hour long sleep before it. It was much needed as I was up more than normal with little girl during the night. At least I remembered to take a photo of the garden illuminated by night, it just didn’t turn out well enough to post! After my hair appointment I collected baby from the baby room and went to the last “nursing class”. Each day you are asked to join at least one session of group nursing, so the nurses can monitor your progress with breastfeeding. There are two main sessions each day at 1pm and 4pm, but on day 1 and day 4 for natural births, (day 3 and day 8 for caesarean) there is a session at 10am. You don’t have to arrive exactly on time, sometime in the hour is fine and up to 15 minutes early is also okay. We got some free samples on our last session. It was back to the room after, to put on make up and get changed and to gather all the presents and bags to come home with us. Above the sleeping and sitting area of the room after the clean out. The sofa doubles as a bed, which you can pay to have made up for your spouse or family member to stay. If they do stay there is a family shower room separate to the shower rooms for patients. 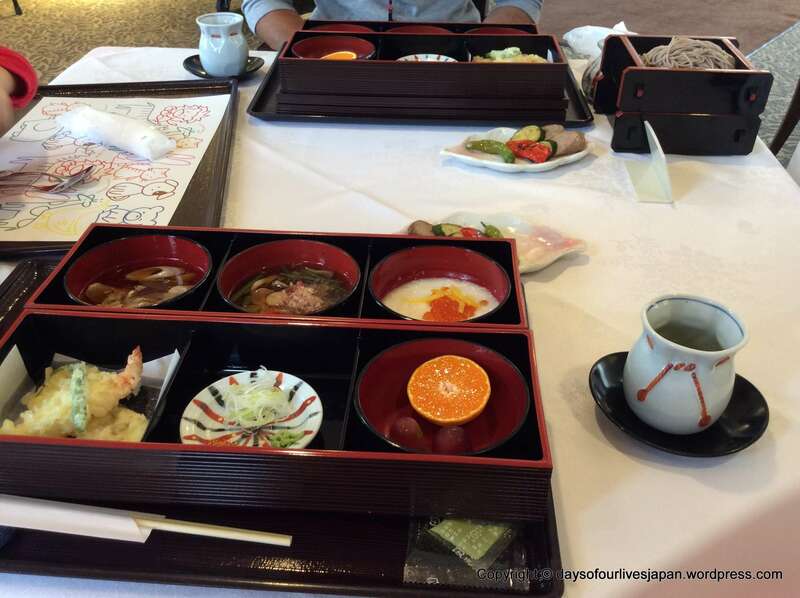 Each patient is also entitled to three “present dishes”; 3 free meals for a person of their choice, during your stay. You can use them or pay for meals for guests. 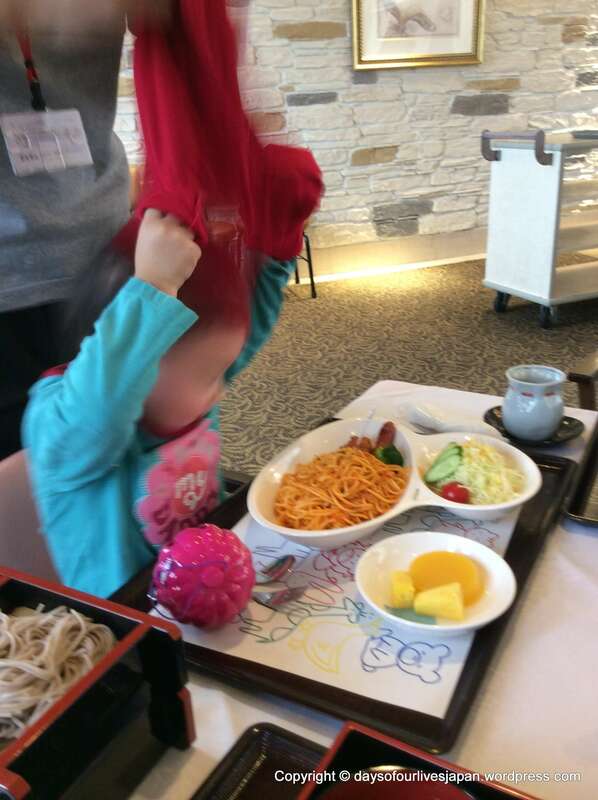 I used my “present dishes” on the lunch on day 4 with my husband and our 2 year old. MIL was supposed to use the 3rd present meal, but in the end she couldn’t come for the meal. I opted for a “children’s plate” for my 2 year old. There are 5 choices including an onigiri plate, curry or spaghetti. I opted for the latter. The portion size was very decent. A child of up to 10 would be happy with the size I think. It came with soup, salad and a dessert. Her table mat was a colouring page with colouring pencils available on lend. She also received a special treat of sweets in a plastic shaped pumpkin container as day 4 was Halloween. She wasn’t the only one to receive a present; as luck would have it, every table in the Fuji View Lounge had a parcel at it. 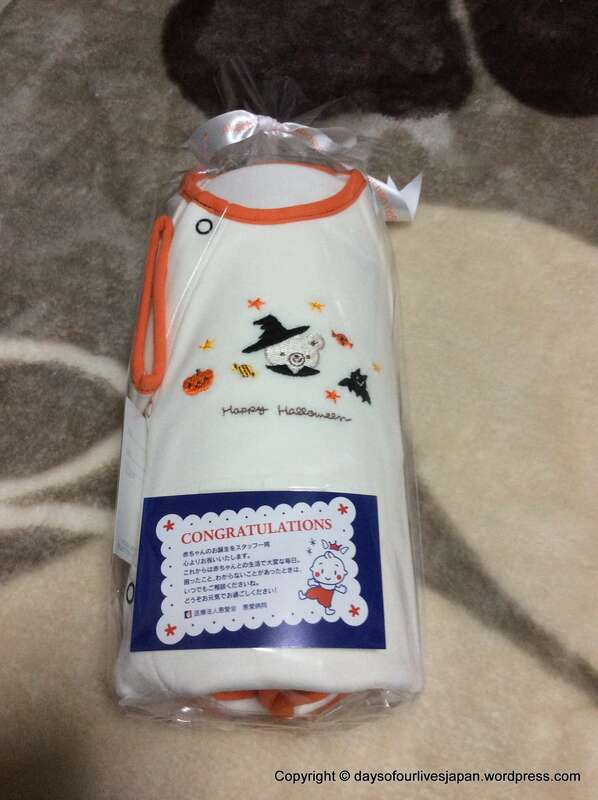 Inside was a lovely Halloween babygrow for newborns. That wasn’t the last present either. 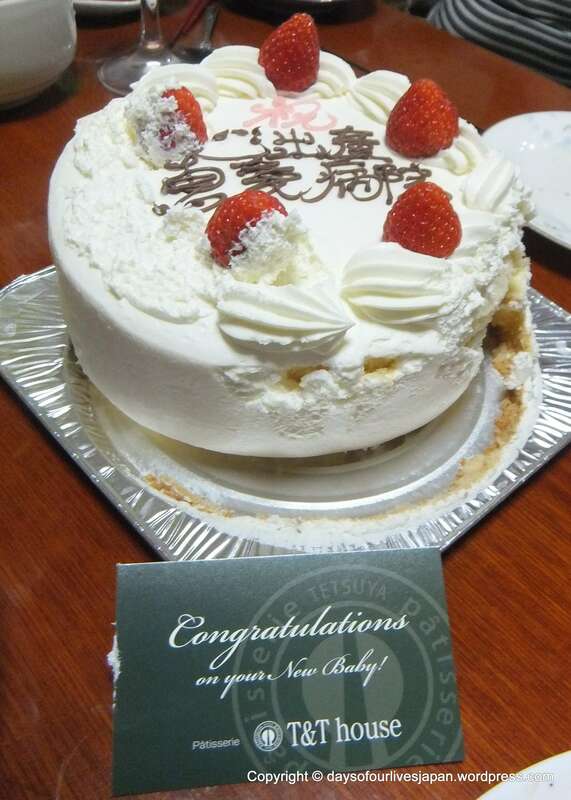 When you get discharged you receive a beautiful “birthday” cake, the professional photo taken of the baby on day 1 or 2 with a CD copy, and baby is wrapped in Keiai’s famous baby towel. We said emotional goodbyes and there ended a wonderful five day stay in a maternity “hotel”. 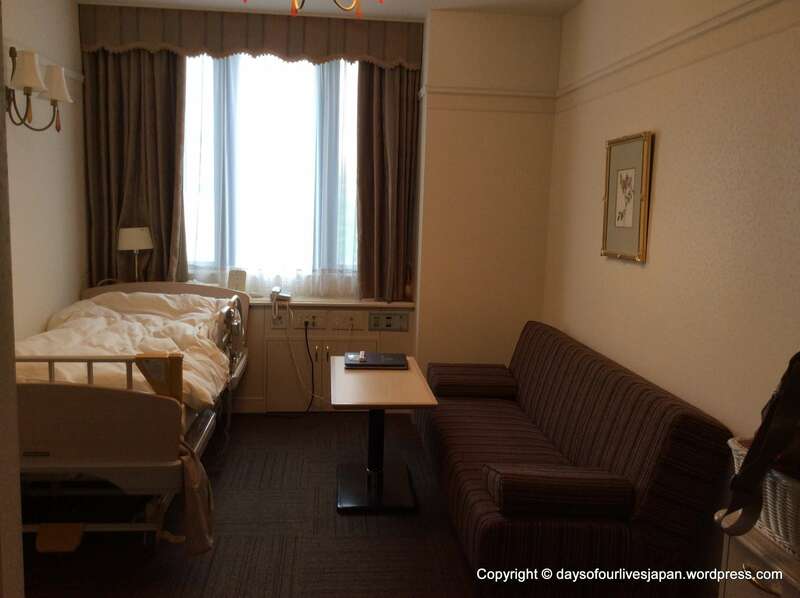 The official website of Keiai hospital is http://www.keiaihospital.or.jp/ DISCLAIMER: I had the most wonderful pregnancy and birthing experiences at Keiai Maternity Hospital, but before choosing any maternity hospital I recommend that you check it meets your personal requirements. To someone who had her 2 children in the US decades ago, this sounds like a lovely fairy tale. What a wonderful way to welcome your new baby. 🙂 I think it is so different to what is on offer in the “West” that it does indeed sound like something out of a fairy tale. I wasn’t expecting it to be anything as wonderful as this when I first started attending the hospital on my 1st child. I thought it would be similar to Ireland. It was a pleasant surprise! May you and yours have many more blessings!! Thank you very much Debbi. 🙂 Yes, I am very grateful that for the first 3 days they check everying is “flowing right”. I will have a check up in another 2 weeks too, 1 month post partum. I am not familiar with the system in America, only in Japan, Ireland, England and Swizterland. The latter 3 somebody (usually a midwife) does come out to the home to check on everything a few times during the couple of weeks after birth. You don’t have that in California? Oh my goodness! A hairdo? Gift meals? Cake? Pictures? And more presents to take home! Still not quite seeing it… 🙂 But sure – I take your point. Very nice. 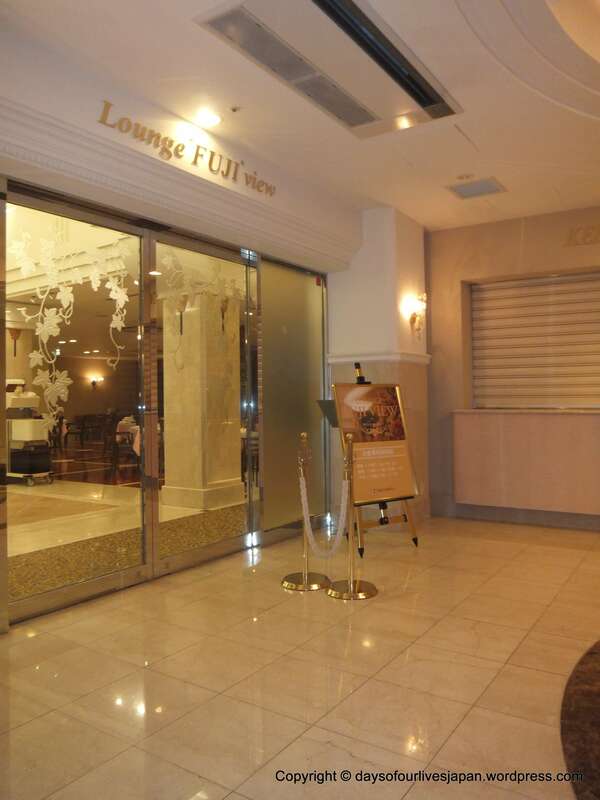 It surely does sound like a maternity “hotel”! It would almost make you want to go back! Japan’s way to solve the aging population problem! !